Gnu/Linux is one of the leading server operating systems due to its ability to be adapted to different devices and architectures. When faced with the decision to implement a server on your home or company network, probably one of the most important decisions is to choose the distribution that is best suited for your case. Our article aims to showcase the best Linux server distributions in 2017 so that you can make an informed decision. Stable – Carefully tested software packages are released in this branch. Debian releases long-term support and the versions are generated once in a few years according to a strict schedule. Testing – This release constitutes software packages that are being processed for inclusion into the “stable” release. In many cases the applications have undergone some degree of testing and have been approved for reposition from the unstable version. When the packages meet the strict quality standards of stable they can moved over to that version of Debian Linux. Unstable – It contains the newest snapshots of the available software. The users who choose to use this version of Debian Linux may experience unstable operation and even system boot failures if critical components are affected. The stable version of Debian Linux is regarded as one of the best bases to operate a production-level server as well as any application frameworks. All packages that are accepted into this branch confine by very strict quality standards and are regarded for their stability and security. When it comes to security the kernel and the vast software repository guarantees that all industry-standard protocols and standards can be implemented. Debian is also one of the most widely used base on which to launch critical infrastructure projects, corporate servers and home projects. The Debian community of developers and users is one of the most largest and all security and privacy issues are taken seriously. Ubuntu Linux is probably one of the most famous distributions. Ever since its first versions that were tailored to beginner users, it has been associated with the popular free operating system movement. The reason why this Linux system has become so popular is its focus on usability and support – both by Canonical that develops it, as well as the larger users community. Ubuntu is based on Debian and continues the tradition of testing the most widely used packages before allowing them to enter into the regular releases. The main difference with Debian is that it is released in two releases – LTS ones that are supported for 5 years on the Desktop and regular releases issued every 6 months and supported for 9 months. Ubuntu is also famous for supporting a wide variety of different graphical desktop environments as well as a dedicated “Server” editions that allows system administrators to easily deploy services and frameworks. Ubuntu is widely regarded as one of the recommended distributions for an array of different home server projects and corporate environments as it is widely supported by big corporations and related technologies. Server management can be taken care by Landscape, Canonical’s specialist utility. Ubuntu Server is compatible with the most popular public clouds and is certified to run on the world’s top network and specialist devices. Canonical have also developed Ubuntu Core, a specialized environment that is tailor made for Internet of Things (IoT) devices. Red Hat Enterprise Linux is the most well-known company-supported Linux distribution. 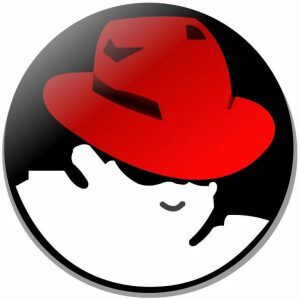 Red Hat are an important contributor to a lot of Linux system components and applications and their derivative of the operating system is widely regarded as an industry standard. In fact the majority of the Fortune Global 500 companies use services and products that rely on technologies made by the company. Different editions tailored to academia use, enterprise clients and production servers are available from Red Hat. A dedicated certification program is offered that trains system administrators on working with the company’s array of services and the configuration layout of the distribution. A key feature that is attributed to Red Hat Enterprise Linux is its conservative selection of packages. As the distribution is mainly used by server machines and servers they must be tested to be bug-free and secure. Red Hat is compatible with a large ecosystem of other industry-standard protocols, devices and protocols. The latest versions of RHEL focus on maintaining a platform that can be deployed on Internet of Things (IoT) devices, container applications and cloud services. The distribution is widely used in large-scale network operations, repositories and virtualized environments. Red Hat Enterprise Linux includes military-grade security technologies and high-integrity systems to guarantee a high production standard. CentOS is one of the most popular choices when it comes to specialized web server hosting or scaling database severs and other related critical applications. It is based on Red Hat Enterprise Linux code and all packages available in its repository are compatible with the enterprise distribution. Basically CentOS takes the upstream Red Hat Enterprise Linux packages and strips the company’s art and proprietary bits. The distribution relies on community support however a number of professional international organizations and service providers run CentOS and define it as one of the standard and recommended tools in their arsenal. The CentOS philosophy states that no modification is done to the base and update packages in regards to extending or enhancing the functionality of the supplied packages. This makes it a very dependable and predictable platform on which to base all projects. CentOS is released in major branches that follow the schedule and standards of the commercially-available Red Hat enterprise version. Point releases are created that constitute a snapshot image of the current version updated with the latest upstream updates available in a separate repository. CentOS is preferred by many system administrators as it maintains the long release cycle sourced from Red Hat. The Fedora project is sanctioned by Red Hat as being the testing bed of its Enteprise Linux distribution. 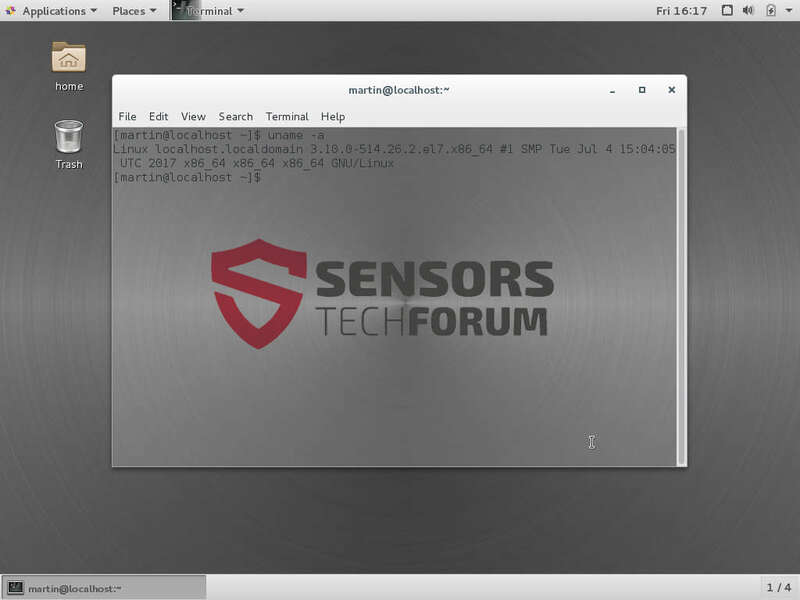 Fedora is entirely community-developed and is constantly updated to include new features and experimental technologies that are being developed for the commercial Linux version. It is compatible with the majority of the Red Hat platform and it is often by developers to showcase new technologies and trends. Fedora puts an emphasis on integrating new technologies and working with developers of open-source software. This is the reason why it is often used to showcase the latest trends and is regarded as a popular platform for testing software. 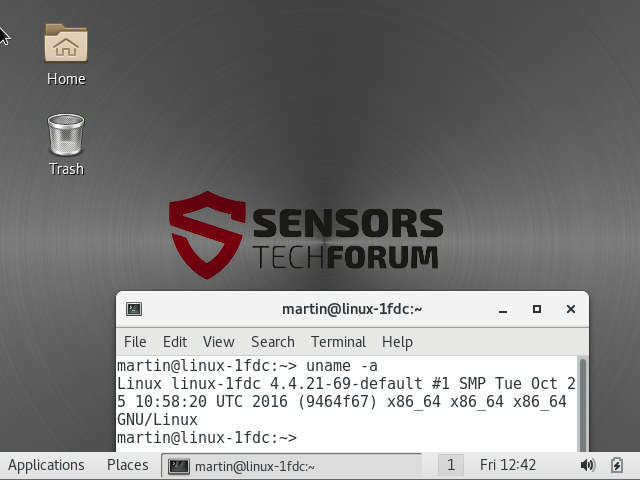 Important security features are enabled by default such as the SElinux module, hardened wrappers and other related features. A separate “Server” edition is supported that integrates a well-rounded server setup: the default file system type is XFS with LVM enabled, the Systemd service management system, detailed system logging and a fully-featured firewall. The distribution is widely regarded as a functional system that is very suitable for both beginner and advanced system administrators as it includes the flexibility of the Red Hat ecosystem of utilities and the carefully selected software repository. 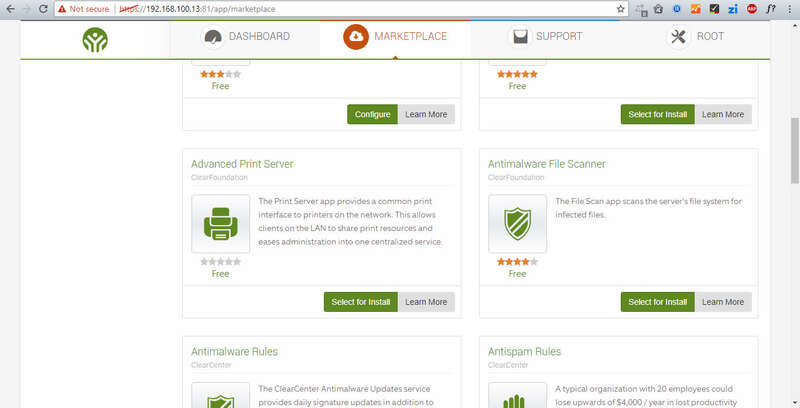 This is the premier server distribution that is being developed by the SUSE company. It is developed by a common base with the Workstation distribution called SUSE Linux Enterprise Desktop. The latest versions of the paid version focus on providing an environment that can manage mission critical tasks and power both physical, virtual and cloud servers. SUSE Linux Enterprise Server has been designed to meet the strict security standards of the Federal government (FISMA) which guarantees a very high level of integrity. Popular web technologies and frameworks are supported out-of-the-box as part of the ready-made server configurations. SUSE Linux Enterprise Server supports live security patching which is especially useful for servers. Like other specialist distributions it is compatible with all the latest server and hardware technologies. Administrators that utilize SUSE Linux Enterprise Server can rely on enterprise packages that are compatible with the distribution. The Kiwi system is available to build images for both physical deployment, virtual machines, containers and cloud services. The major versions are released on a long cycle (typically around 3-4 years) and service packs are released in intervals about 18 months. The enterprise components are allowed into the distribution only when the strict quality standards are met. OpenSUSE is one of the largest and oldest Linux distributions sponsored by a company, in this case SUSE Linux GmbH. Its primary focus is to deliver a capable solution that can be used as a fully-featured desktop or server. The community of developers and users have managed to make it one of the top operating systems worldwide. It is highly regarded for the YaST administrative package that is able to control the system settings. OpenSUSE is one of the distributions that have integrated innovative applications and customizations. Like Red Hat Enterprise Linux the installation program can configure the target system with several security-enhancing layers and systems – hardened profiles, enhanced kernel features, encrypted drives and strict user access control. As OpenSUSE is preferred by many administrators for setting up complex appliances the developers have created a specialist Security Guide that is available on the project’s website. A lot of support channels and user communities have been set up which provides a lot of information about setting up various types of servers. Many security experts, journalists and Linux users have continuously praised the OpenSUSE community for their commitment to the project. OpenSUSE Leap – This is the regular release of OpenSUSE that is recommended for both new and inexperienced users. Leap contains the full collection of tested software and is derived from the source code of the SUSE Enterprise Linux distribution. It follows a 9-month release cycle and it is meant to be stable rather than experimental (as opposed to Fedora). According to the distribution’s philosophy this edition is designed to offer stable and mature packages. OpenSUSE Tumbleweed – This is the rolling release model that incorporates stable versions of the latest applications as soon as they meet the initial QA standards. System administrators regard the distribution highly as it is very easy to manage. OpenSUSE uses an advanced package management system that is compatible with a lot of package formats and it can be customized to create custom derivatives for specific tasks. Such respins can be quite useful for setting up certain types of web services and application frameworks. Arch Linux is one of the most popular distributions used by more technically-inclined Linux users. The distribution itself is developed by a team that believes in the freedom of configuration. 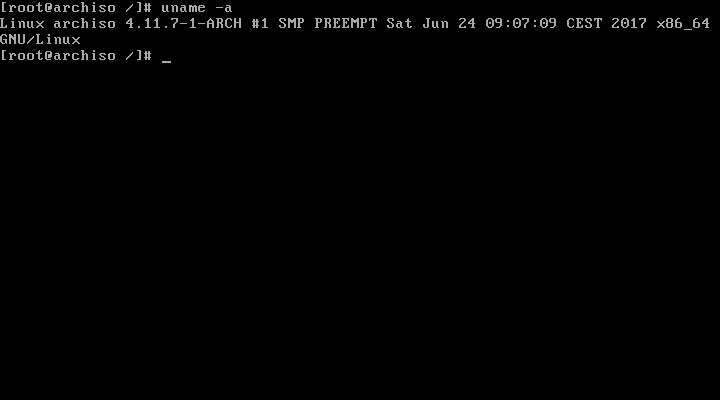 The idea behind Arch Linux is to present a minimal setup on which the individual users can base their setups. One of the many advantages of Arch is that it comes with a bare-bones environment that allows the administrators to setup their servers applications of choices and frameworks. The distribution is frequently commended as one of the best community supported distributions. Its wiki, forums and associated chats can provide answers and comprehensive guides on setting up a competent server setup. Many amateur and professional administrators prefer to use Arch because of its flexibility. Many of the system components are governed by scripts, the package management system is intuitive and the distribution is tailor-made to be customizable. The Pacman package management system allows Arch Linux users to access both the official software repository and third-party downloads found in the Arch Users Repository (AUR). Arch Linux brings frequent updates and is very useful in cases where the administrators depend on new versions of the latest software as well as the support. The package maintainers usually quickly resolve issues. Arch Linux’s documentation shows how to set up a varied list of services in a quick and logical way. Monthly installer snapshots are provided that can be used to network install the rolling release distribution. ClearOS is a specialist distribution that is based on code sourced from the CentOS and Red Hat Enterprise Linux projects. It is being maintained by a company called Clear Center and is designed to directly compete with the Windows Small Business Server platform. It is available in a paid version as well as a community one that can be expanded with paid modules when such are needed. The distribution comes with an array of ready-made components, the administrators only need to input their desired configuration. The network server can be configured via a specialized web-based interface that is easy to use even by beginners. ClearOS is one of the few distributions that provides such a feature-rich platform. ClearOS is being implemented by large corporations in their products and services. The project supports the addition of more than 100 apps (servers, frameworks and services) that can be installed with a few mouse clicks. Develop and maintain a strong, secure and rock solid core system. Provide a flexible environment for developers to add features. The developers actively develop and post status updates about upcoming additions. Ever since its first inception ClearOS has become one of the preferred distributions for running small and medium business services. We highly recommend it to beginners as it provides an easy-to-use solution that can support different services using the stable packages sourced from enterprise distributions. The Community edition of ClearOS follows the long-term support cycles that are used in the Red Hat and CentOS distributions. When it comes to Linux distributions Gentoo holds a special place among other competitors. This is one of the few source-based projects where the system administrators need not only configure their machines, but also compile from source the requested packages. This may seem tasking or difficult, however the Portage package management system makes it very easy. One of the excellent features attributed to Gentoo is its use of special flags that are used to tell the compilers what features to enable when compiling the installed software. This leads to a very small-sized and efficient server setup. The development posts updates to upstream packages very quickly and a lot of web hosting providers depend on Gentoo for running mission-critical servers due to its optimized footprint. 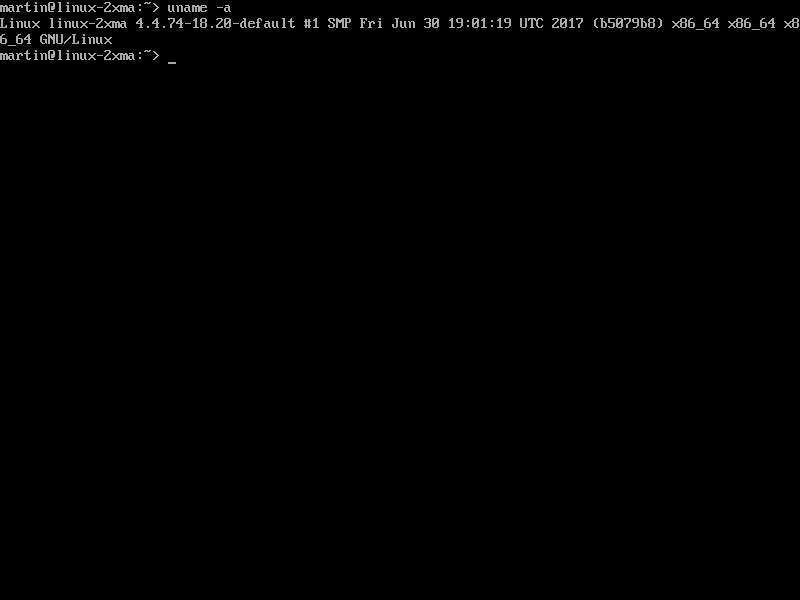 System administrators state that Gentoo servers require a very low maintenance window as the distribution is designed to be easily updated. The distribution is provided as a continuous rolling release that can be installed using a well-written installation guide. Gentoo servers can be customized with a custom “hardened” profile that includes extra functionality that are built to better secure the production machines. A proper Gentoo Linux server setup can become the backbone of any small or large business if maintained properly. Choosing a Linux distribution for a hobby project or a production environment depends mainly on the intended goals. We have provided a list of the top 10 choices, all of them have pros and cons and are used by both individual users and large multinational corporations. To a large extent one of the most important factors to consider is the hardware components and the platform compatibility. For example if the servers are based on the ARM architecture then obviously some of the distributions will not work. Enterprise users can rely on professional support by utilizing some of the industry-standard distributions such as Red Hat while custom projects may be based on a customized Arch or Gentoo Linux system. Take note that the larger projects or specialized distributions like ClearOS usually provide ready-made configuration settings for the most popular services: Web and email servers, file hosting, domain controllers and etc. They may be used in situations where the system administrators want to quickly deploy a service or framework without going through manual installation guides and commands. 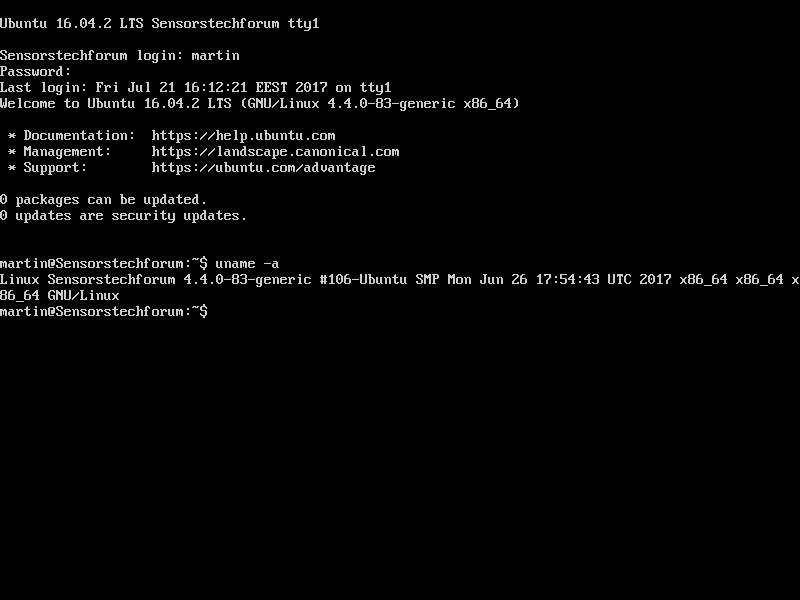 We hope to have provided some useful information, feel free to comment and share your experience with the Sensors Tech community. Hey !, I found this information for you: "The Best Linux Server Distributions in 2017". 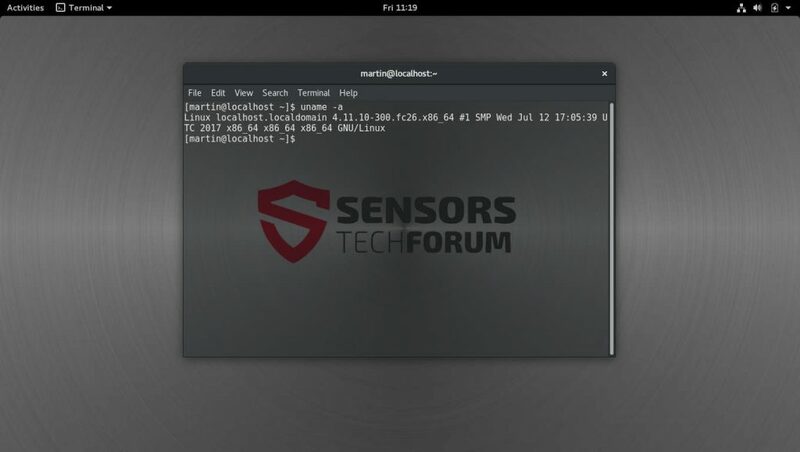 Here is the website link: https://sensorstechforum.com/best-linux-server-distributions-2017/. Thank you.